In the past few decades, the economy in the Asian region grew dramatically. This is mainly due to the growth in the middle-class population and the overall GDP growth of the region. In turn, the rising wealth comes with the increase in demand for consumer goods. As a result, the demands for food packaging, beverage containers, sanitary goods packaging, and medical packaging increased. In recent years KYMC is working to establish a stronger presence in the South East Asian region. KYMC is optimistic towards countries like Thailand, Malaysia, Philippines, Indonesia, and Vietnam. In 2017 KYMC started to put in more resources into helping these regions. Our goal is to have a strong footprint in these countries by serving the needs of the region. In the Philippines, KYMC had partnered up with a local player, Ideal Marketing & Manufacturing corporation to serve the market. The company already has a history of strong presence in the region. On top of the company’s abundance of experience in the printing and converting industry. We believe that KYMC customers will be well represented by them. 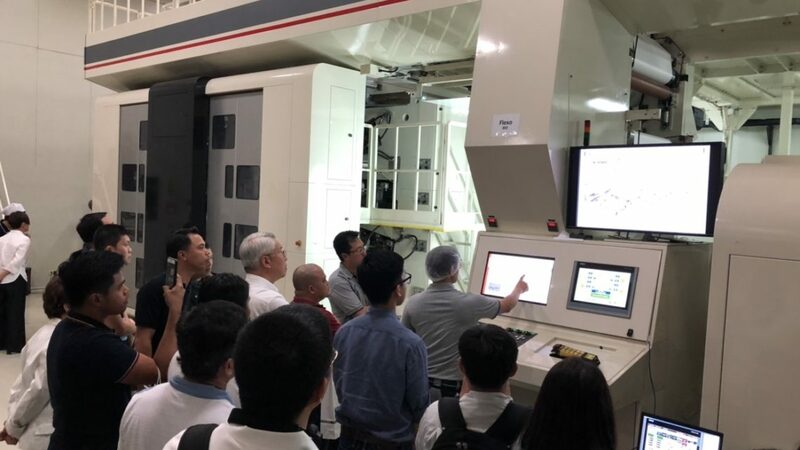 Last week, KYMC held an open house in the Philippines, where a seminar at the hotel was held in conjunction with a press demonstration at our client’s factory. The seminar was organized into two sections, with the first section focusing on environmental topics and industry trends. The second section focused on KYMC’s capabilities to support our customers through case studies sharing. How KYMC supported public traded companies to cut cost and increase production efficiencies to remain competitive on the market. How KYMC worked with our customers even long before the purchase of the machines to ensure the customers need was addressed and can be fulfilled. Some may question how it is possible to hold a press demonstration at a client’s site, where the client would have to put its daily operation on hold. On top inviting its competitors to its factory. This is where KYMC would like to boast about the relationship that we have with our clients. We treat our clients’ businesses as if it were our own, as a result, we delivered much more than what was expected from us. At KYMC, we praise ourselves not only as a press manufacturer but a solution provider. You are welcome to contact us, and we would be delighted to share our case studies with you.